List of Companies Hiring Through AMCAT 2019 (Freshers Recruitment) – Hello Guys, All the freshers candidates looking for a job can find here list of companies hiring through AMCAT and companies package who are hiring via amcat exam for freshers. Lets me tell you, AMCAT is best option to head start your career with multiple opportunities in the plate. 1.2.1 Why You Choose AMCAT Exam ? Updated list of companies hiring via AMCAT: Earlier i was taking about AMCAT exam for freshers. At the same time i am receiving messages and comments on companies hiring in amcat exam and how many package they are offering. I understand these are the very basic and needy questions every fresher students have in their mind. Many Companies known as Mass recruiters for IT job like HCL, Cognizant, Accenture, Mindtree etc are one of the companies hiring through AMCAT whereas few of them also prefer elitmus exam as well for their fresher recruitment process e.g Accenture. All the fresher looking for dream job in IT or other field should take AMCAT test. They are other exams too, which conducts assessments test for fresher students in india. I think you should look at these exams and decide which one is suitable for you. The Aspirants Can Check the AMCAT Core Companies and make their Choice through AMCAT Test . 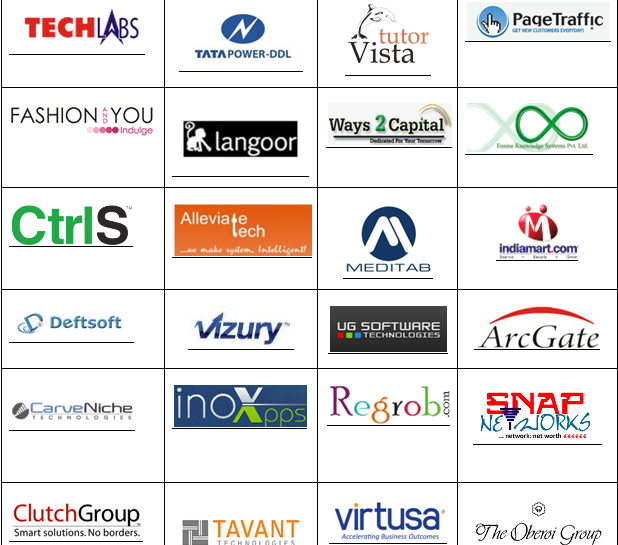 Below is the additional list of reputed companies hiring through AMCAT ……..
Why You Choose AMCAT Exam ? AMCAT is taken by 25,000+ entry level graduates every month . More than 1,50,000 interview calls happns every month based on AMCAT scores to job seekers. AMCAT gives Comprehensive feedback report to help understand and improve profile after you attend AMCAT Exam. AMCAT is Accepted by 700+ companies in sectors like IT, ITeS, Banking, Retail, Manufacturing as permanent test conductor for fresher hiring. AMCAT has Customized domains to cover graduates from Engineering, Commerce, BBA/MBA, Science and Humanities streams. AMCAT has More than 70 test centers across the country and taken by students from 300+ colleges. If you have good command over aptitude and logical reasoning then you should give a try elitmus exam. eLitmus is India’s largest fresher evaluation and recruitment body. It owns the IP for the pH test- the most researched analytical and algorithmic thinking test. If any query apart from given info regarding “companies hiring through AMCAT” and related articles , just drop a comment we will revert back soon. Please comment below if any questions. Hi , I am B.com passed from calcutta university in the year 2012. Am i eligible for this exam and is there any scope for a B.com graduate student .. ? 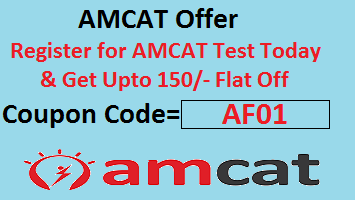 AS you can give AMCAT test , in fact anyone who has graduation degree or pursuing graduation from any university and stream is eligible for AMCAT. I want to go for tie-up with different companies for Campus Placement. Please guide for the same. Will we get any government jobs through AMCAT?? N how much does the fee costs? I’ve 3 years gap in between my 12+ and b.tech admission. I took admission in engineering in 2012 and I’m 2016 pass out from ECE branch. After my 12+ I went for B.sc nursing course and I quit that course due to some health issues..but there’s a big problem that most of the MNC don’t hire students with more than 2 years gap. So if i can score then, in which companies I can apply and will I get any chance to get a job through amcat ? Can you please help me because I really need to know it. Hello, I completed my graduation in BE-Mechanical engineering in 2014 but i want to settle in IT field now. So please gimme suggestions that can I attend AMCAT test now? Are any companies prefer me? Please suggest me what should I do. And I have gap in my education before my graduation due some financial issues. Please guide me and tell me the possibilities to get a IT job. Nowadays IT companies are hiring Mechanical students as well. But you are 2014 pass out batch so very companies less looks for 2014 batch candidates as a fresher. If you have work experience in any field (related to IT) then you can join IT companies as an experienced candidates. If we talk about education gap that won’t affect much. Hi, i have completed graduation in 2015 in electronics and instrumentation engineering.. So if i take AMCAT now do i have any good opportunities to enter into IT field.. do any companies prefer 2015 batch (EIE) even today because its been one and half year.. Yes, You can take AMCAT and test your luck. There are companies who are hiring 2015 batch thorough AMCAT. i am pursuing my b.tech from Asansol Engineering College.Is there any chances of amcat centre at Asansol.Because due to very short of time i am unable to go kolkata .So please suggest me. Dhanraj, You can contact AMCAT official (AMCAT customer care contact no 011-49657800). They will assist you for sure. Plz reply were is admin ??? Is wipro recognize amcat score? Dear neshhath, yes you can qualify for AMCAT Exam and Companies Shortlist Candidates based on AMCAT Score. Hi, i have recently completed MCA with distinction ,but my PUC score is below 50. And i wanted to know whether that matters here . Please suggest me. Hii I completed my btech in 2011. And worked in Bosch for 1 year. In 2015 I joined mtech course in control and instrumentation branch which will be completed by 2017. Am I eligible for companies through AMCAT ? could tell me the up coming management companies and MNC companies for non IT students? I have been working in IT industry for the past 18 months . Now , want to change the path mostly interested in BA or Fin . Please advice me if I can give this exam for the same . Its better or not to write elitmus in november end? is there any chances to get interview call from company. am from EIE dept 2016 passout. Please rply me. Job in bank .I want to shift IT so will u suggest me to amcat or not. i did B.sc non medical with 60% passing marks and my pass out year is 2015 if i score well in this exam is there any chance that i got good job in good company? Hi.. I want to know that object frontier software conduct online test for freshers through amcat??? Hello , sir I’m 2016 passed out and I’m thinking to take amcat test by Jan end or Feb.. Will I get interviews because by that time most of the companies start recruiting 2017 fresher’s.. So 2016 passed outs will get interviews ?! Hello Manjula, if you able to Score Good Marks in AMCAT then Surely you will get interview Calls. Is their any core mechanical engineering industry tied to Amcat test ? Hello Vikash, Core Companies Prefer eLitmus rather than AMCAT. However Some Companies Prefer Candidates with good AMCAT Score in Specialization. Hello Vishal Rai, No Such Necessity is require to apply for AMCAT. Hi sir, I am engg graduated in electrical engg. And my pass out year in 2015, Sir i want just the information regarding amcat test related. Sir I want to know if my 10 to graduation between two years gaps and my intermediate are second division so sir you tell me pls can i apply for reputed IT companies or related to my core field , so sir you pls suggest me good way? I take my AMCAT exam,score also published but no company invite me for interview what am doing tell me sir. Hey Siprarani jena, AMCAT interview depends on how much marks you score, we your marks are good then you will surely receive interview calls from companies. I completed electronics and instrumentation engineering at 2013. I will like to place in a core companies, since I can’t get the right job so far. Is the AMCAT exam will help for me? Hi Vengatesh, it is not right for me to comment whether you will get a job or not but as you know many people are trying their luck with amcat exam so you can also give AMCAT exam. But please make sure with AMCAT officials that companies are inviting 2013 pass-out batch. How many companies are in AMCAT for electrical and electronics eng. Students and how much score required to be eligible…..
Hi Mohit, Thanks for asking, Most of the companies are hiring for AMCAT which are in the list of companies hiring via AMCAT. If i talk about score than you need to score decent mark to get a interview call (minimum 60%). Thanks for replying me sir,one more thing sir I am asking about my brother yesterday his amcat result was announced as he was apply by electrical branch he scored like (in English 40%, 2 core subject 83% each, reasoning 86% and logical reasoning 96%. )percentile something like that but he is having 3 years of gape after B. tech(agg. 71 persent). Is there any chance for good company? Can’t say, hope for the best bhai and keep trying off campus and walk in jobs. sir, can you suggest me about his amcat result (in English 40%, 2 core subject 83% each, reasoning 86% and logical reasoning 96%). Is this result is fine for good opportunities? I am from Humanities stream. Completed my MA in 2014. Am I eligible for AMCAT? Do Humanities majors appear for AMCAT? I have completed my MA in 2014. Am from Humanities background. Are Humanities students eligible for AMCAT? What job roles are they offered if they pass? I have completed my BE (IT).but i have scored 55 percent in engineering,so are there any startup companies or other companies which will hire me on the basis of amcat score and eliminate their criteria.If yes,Please send me the list of such companies. Criteria for companies varies as per their. Very few IT companies hire 55% in rare cases. Please stay in touch with our website for such jobs updates. sir, can you suggest me about his amcat result (in English 40%, 2 core subject 83% each, reasoning 86% and logical reasoning 96%). Is this result is fine for good opportunities? plzzz reply …..
Hi I have given amcat exam for axis bank in 2015.So will I be eligible for interviews or I have to apply for amcat again. Hii!! I am ’14 passout, electronics and communication engg. I am working as a radiography engineer, main companies of this field is (agfa healthcare, fujifilm healthcare, etc)..i am on the payrole….i wanna move in main companies (NOT THIRD PARTIES) mentiined above…but the COMPANIES RELATED TO MY FIELD IS NOT LISTING IN AMCAT RECRUITER LIST…SO, IS THERE ANY ASSISTENCE FOR ME..IF I ENROLLED WITH YOU…PLEASE REPLY…YOUR REPLY IS VERY HELPFUL FOR ME..
sir I am a 2016 pass out student from mechanical stream do I have any chance to get good placement in it sector .. and what is the syllabus for amcat? Hi, I am Lakshay Arora pursuing B-tech in Electrical Engineering. I want to know about the procedure of applying for various IT companies if I have a AMCAT score card. Also, what is the cut-off to get hired by the top companies and when do the exam form will be available?? Hi, can diploma students eligible for this test ? I have done three years diploma after intermediate? Once the fee is submitted. Till how many month or years , we can take AMCAT test. It is for one year… your score will be valid for 1 year. You can apply for AMCAT, eLitmus, CoCubes and fresherworld exams… these are leaders in fresher job segment. Hello sir, I have completed my BE in mechanical in 2017.Will amcat test help me getting job in core company? From last few day why Im not getting any notification or mail regarding to the job? Am 2016 Btech (e&i) graduateand have a nice career of 80-80-70,would amcat be benifitial for me? Yes, aditya, but you need to score good marks in AMCAT to get better opportunities. I have amcat exam on jan 17 2018 and my registration for interview through amcat for Accenture expires on 16 jan 2018. But the date of interview is not yet revealed. Then writing exam on jan 17 is useful?? Will i be able to attend the Accenture interview? You can write exam and score good than before. I have completed b.tech chemical engineering (2017). Can I give amcat exam for core companies. if you are taking about chemical engineering core companies then surely you can apply for amcat. Is amcat useful bank jobs? My score in English is 445, logical 440 and quant 635, what is the chance of getting a interview from Accenture?? Hi. I got 90% in AMCAT exam. How to apply for companies? Login to your amcat exam, there you will see recommended jobs. You need to apply thru AMCAT account. You will receive emails for the same. I have not 60% in Higher secondary..will amcat be helpful for me to getting job? Plz tell me…﻿. Sir,I am student studying btech in electronics and communication engineering(3rd year).I want to go to it sector,can I write subjects related to computer science.. I HAVE EXPERIANCED OF 2 YEARS IN AUTOMOBILE COMPANY.. CAN I GET JOB RELATED TO MY PROFILE. Hi I ‘ve applied for Amcat exam .How should I prepare to get a high score? Does High Radius recruit through Amcat? Sir I am 2018 pass-out mechanical with each CGPA is nearly above 8 and my gate mark is 30 if I will clear amcat then can I definately call from companies. hiii sir/madam. my name is hari .with out amcat score when iam applying for a cts ?.any link is there..any of the company.plz give me a links for with out amcat. Hi sir I am Ajay das .My qualification is B.tech ( Civil ) . Passing year is 2017. I want to know about the procedure of applying AMCAT form and also I want to inform how much cut off to get hired MNC company from AMCAT Score card ? Is there any chance to got any job offer through amcat?if yes,pls tell me the companies who are recruited for these scores?